The story of the space race, from an angle only insiders knew until now. Space journalist Bizony (The Rivers of Mars, 1997) opens with the proposition that Webb, a politically savvy technocrat from North Carolina, deserves the primary credit for NASA's winning the race to put a man on the moon. The Soviet Union's 1957 launch of Sputnik 1 had set off waves of alarm in Washington circles, which quickly recognized space flight as a key to American power and prestige. Eisenhower, wary of excess military influence on U.S. policy, wanted a civilian agency to oversee the nascent space effort; the result was NASA. Webb, a New Deal Democrat who had served as a budget administrator under Truman, became NASA's director at the beginning of the Kennedy administration. Kennedy promised an American moon landing by the end of the ’60s, and Webb took that promise and ran with it. Bizony details how Webb's personnel decisions, his awarding of contracts and his negotiations with power brokers turned NASA into one of the most prestigious government organizations. Webb believed he was creating a new form of management, and for a long while, his successes made him all but untouchable. Then a fire killed three Apollo astronauts in January 1967. 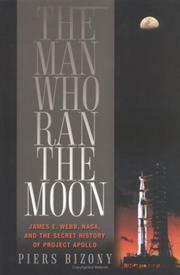 NASA was under the microscope, and the subsequent investigation uncovered enough irregularities to damage Webb’s career. At the same time, the escalation of Vietnam put NASA's budget under new restraints. Webb left the agency in 1968, just before its greatest triumphs. Bizony notes that no subsequent director has come close to Webb’s impact or success. He ends with a scathing look at the agency’s recent years. Fascinating look at how politics and science intersected in the glory years of NASA.